The Platform 9 3/4k (Year Four)! It's back! Our annual event returns to celebrate Harry's adventure getting Hogwarts in his fourth year! We've revamped the look and now the front of the Hogwarts Express lights up...yes, an actual LED light!! How? The medal actually opens on a hinge to give you access to turn the light on and off! Your registration includes this awesome 3" medal, custom sublimated ribbon, and your own personalized digital bib! Hogwarts is the home of many magical creatures and Antarctica is the home some amazing creatures too! We are honored to announce that our charity partner for Platform 9 3/4 Year Four is the Antarctic & Southern Ocean Coalition (ASOC)! ASOC is a global network of conservation organizations seeking to preserve the world's last great wilderness, which belongs to all humankind. ASOC's mission is to protect the Antarctic and Southern Ocean’s unique and vulnerable ecosystems by speaking for Antarctica and its magnificent species - from krill to blue whales. Please visit www.asoc.org to learn more about this incredible organization! We will be supporting at least TWO research projects conducted by ASOC scientists. Project #1: Baleen Whales. Scientist Ari Friedlaender will be conducting research into Baleen whale movement and behavior. The project will involve tagging 12-16 whales and tracking them in near-real-time. 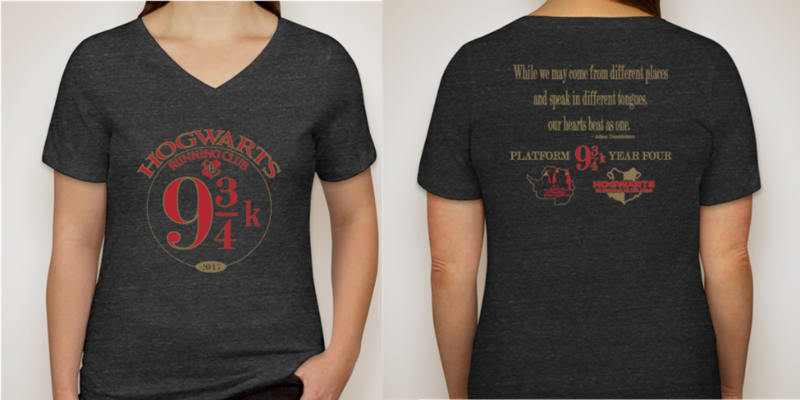 AND every registrant for the Platform Year Four AND Return to Platform 9 3/4 will get one entry into a drawing to NAME THE WHALES!!! Will we see "Minerva the Minke" or "Hagrid the Humpback"? Who knows! It's whatever name YOU come up with! And if we are extremely successful, we will be able to fund a THIRD project! Project #3: Penguidditch ("a 3D map of the Last Ocean for Adélies and the snitches they seek"). Researchers David Ainley and Grant Ballard will be tagging and tracking populations of Adélie penguins to get an idea of the impact of rapidly changing sea ice on their ecosystem. SPECIAL REMINDER: Did you miss out on a previous Platform 9 3/4 event? We just had the "mini-Time Turner" event called Return to Platform 9 3/4 where folks could pick up the medals from 2014, 2015, and 2016! That event is now closed, BUT if you are still interested in those past years' medals, email support@rantue.org. Our Headmaster can probably work some magic! The suggested run date for this event is September 22nd...the birthday of the amazingly talented Tom Felton! Remember, this is only a fun suggestion. You are welcome to complete your 9 3/4k (or 6.058 miles) whenever you want! 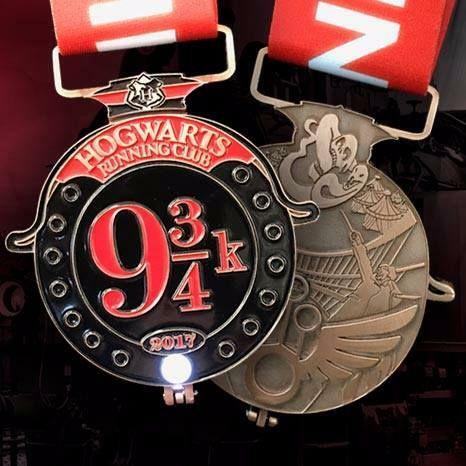 All of the medals will be mailed (with your Return to Platform 9 3/4k medals!) on Monday, October 2nd! Sign up today and help protect the Last Ocean! !